Dorothy de la Hey was a pioneer of women’s education in India. 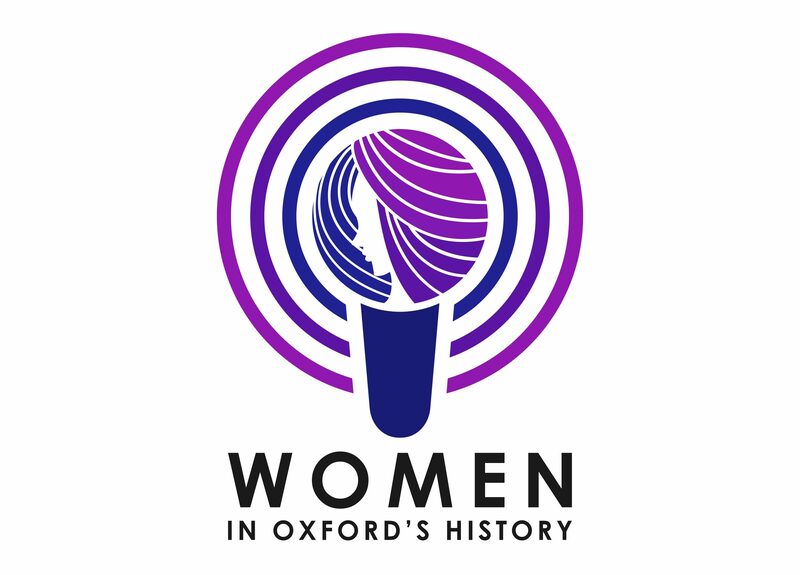 That Oxford only began giving degrees to women in 1922 created a peculiar predicament: a good many of those educated at the women’s colleges that had opened their doors starting in 1879 had granted degrees to young women in other countries in their capacities as college principals and lecturers well before they were allowed to claim their own. Dorothy de la Hey, born in Cheshire in 1884 and educated at the Oxford High School for Girls and St Anne’s College was one of them. She went out to India in 1914 ostensibly on holiday to visit her brother Clement, who was Principal of a college for men in Madras. After a garden party conversation about a potential new college for women, she ended up staying on in the city and founded the Government College for Women: the first institution of its kind in Southern India. She would remain in the city for most of the rest of her life, first as Principal of her College, and then running a school for Anglo-Indians. The Government College for Women that de la Hey founded in 1914 was first housed at Capper House on the Marina Beach: an old Colonial mansion turned first into a failing and somewhat disreputable hotel, and then reclaimed for use as a hostel for girls when de la Hey founded the College in 1914. The College grew in its early years, remaining, well into the 1970s, one of the city’s most prestigious institutions of higher education for women. So, beyond the fact that she was one of many hundred ‘imperial women’ as the historian Antoinette Burton calls them, who went out from Britain to the colonies to engage in projects of social reform, why should we be interested in Dorothy de la Hey? Colleges like St Anne’s and Somerville educated hundreds who went out to Asia and Africa as missionaries and educators – ‘imperial women’ as the historian Antoinette Burton calls them – participating in the soft end of the colonial enterprise as social reformers. De la Hey’s life is illustrative of the complexities of this position: many of these women espoused a sharply imperialist vision of ‘women’s status’ and ‘uplift’ even as their lives reveal complex affective attachments and engagements with the colonial contexts where they spent most of their lives. De la Hey’s contemporary, Eleanor McDougall – an alumna of Westfield College in London, and Cambridge – who founded Women’s Christian College also in Madras in 1915, wrote a book titled ‘Lamps in the Wind’ (1940) that typifies this worldview. Reminiscent of the postcolonial theorist Gayatri Chakravorty Spivak’s formulation of this as ‘rescuing brown women from brown men’, in this book, Indian women are hapless creatures, lacking in the capacity to confront their own oppression except with under the guidance of middle-class Englishwomen. De la Hey has left us no such compendium of her thoughts and indeed left very little personal material from her time at the helm of her institution. Her testimony to the Sir John Simon Commission – officially the Indian Statutory Commission, sent to India by the British government to study the potential for constitutional reform – suggests that she supported the Indian struggle for political sovereignty, albeit by degrees. We also know from her students’ reminiscences of their time at Queen Mary’s that she was known to be a firm-handed if kind principal: one remembers her clapping aloud from her room to warn residents at Capper House that it was time for lights-out. Another story tells us she slept with a gun under her pillow and once successfully threatened a burglar with it. While this is purely speculation, it is impossible not to wonder if that was a fallout of her brother’s brutal murder in 1919 by an Indian student wielding a shotgun at close range. In any case, it is difficult to deny that Dorothy de la Hey was located very much at the heart of an imperial world of order, reform and racial anxiety. Nevertheless, what is most interesting is how she continued to remain engaged in the lives of those who had been integral to her life in Madras after she left: particularly her driver, a Tamil Christian man to whom she left a substantial pension. In a series of letters that her family have kindly shared with me, de la Hey corresponds in detail with this man and his family, routing all her letters and funding through the Church of South India – the ecclesiastical institution that succeeded the Anglican Church in this region. Speaking mainly with his wife and son – whose letters are dictated to a translator and sent in English to de la Hey, who, like many imperial women, never learned to read and write Tamil – discussing the rising prices in Madras, the adequacy of her legacy and the family’s own problems. We learn about the driver’s struggles with alcoholism, and his close and confessional relationship with de la Hey. We learn about his illness and his eventual death, and de la Hey’s decision to continue paying the pension to his bereaved family. As this set of documents suggest then, imperial relations were often founded on close ties of friendship and care that continued well after the moment of administrative decolonization, often supplanting and complementing official measures of compensation in the wake of the departure of colonial administrators and their networks of patronage. In all, if Dorothy de la Hey lived a remarkable life, it has to do with the complexity of attachments and desires that appear to have driven it. From her passion for educating young women in India, to the cause of Anglo-Indian children to which she dedicated herself later in life, to eventually her meticulous management of a former employee’s affairs, de la Hey leaves a record of a life that unsettles the boundaries and distinctions of her time. Sneha Krishnan is a Junior Research Fellow in Human Geography at St. John’s College, University of Oxford. Credit for the photograph of Dorothy de la Hey to Queen Mary’s College, Chennai, and to Matthew de la Hey. Listen to our episode about Dorothy de la Hey on iTunes or SoundCloud.